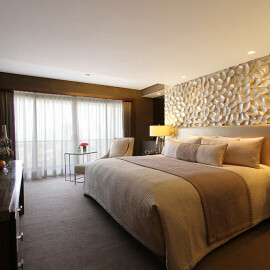 The luxurious bedding and overstuffed duvet keeps you cool while you sleep without having to strike a compromise. 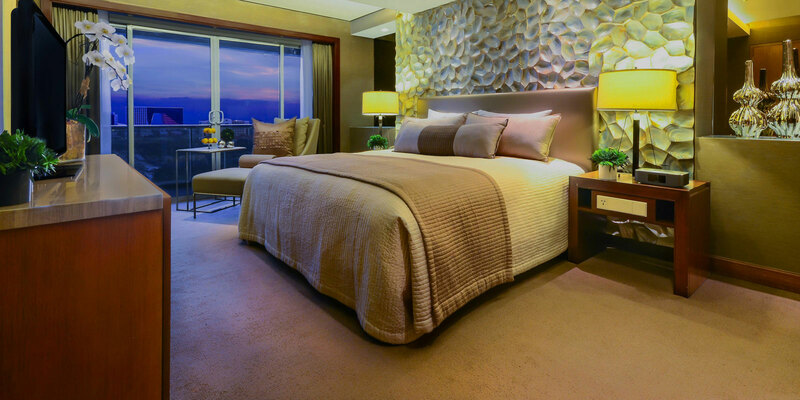 Stumble on the bright side of coziness of our executive room at the 8th floor, or create your warm moments between the dark hue walls at the 9th and 10th floor. 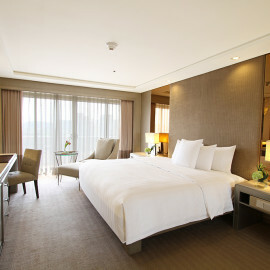 Airport side executive room size is 32.84 square meters. 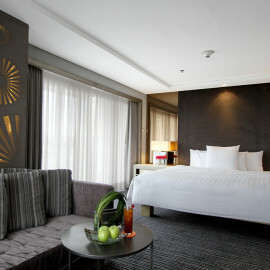 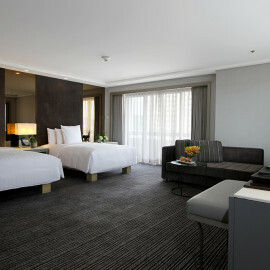 Boulevard side executive room size is 36.98 square meters.